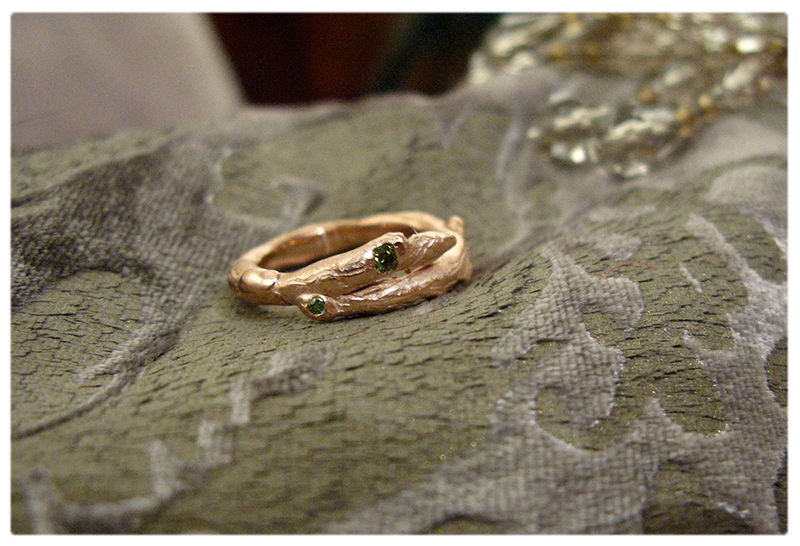 I am happy to design and create custom, handmade jewellery for you, and your loved ones. Generally speaking people come to me for my individual design aesthetic. Work inspired from biology, marine life, molecular/microscopic imagery, science (fiction re: biomechanics) imaginary worlds. That said, I am always open to new concepts! Please, feel free to contact me and turn your design ideas into a beautiful work of art! Hourly rate: $150 per hour + materials – 30 minute consultation is always free! 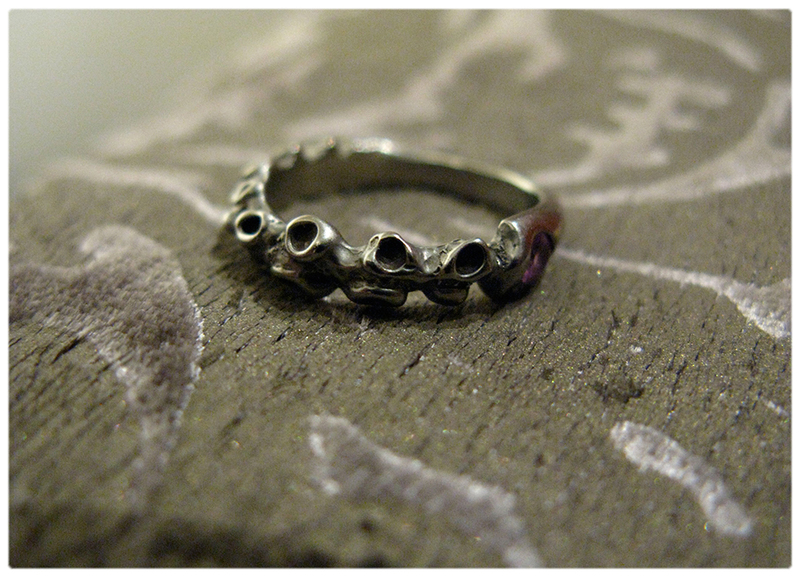 Celebration ring. 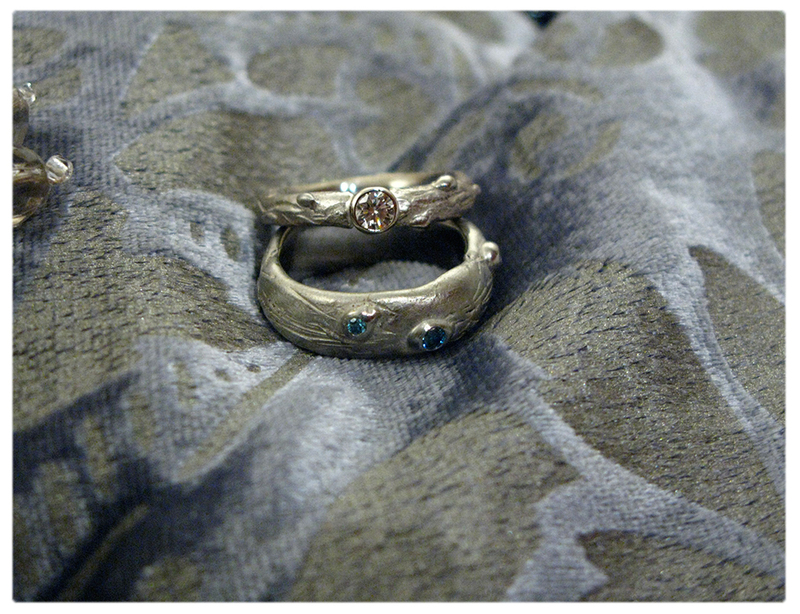 Sterling silver with blue-green sapphires. 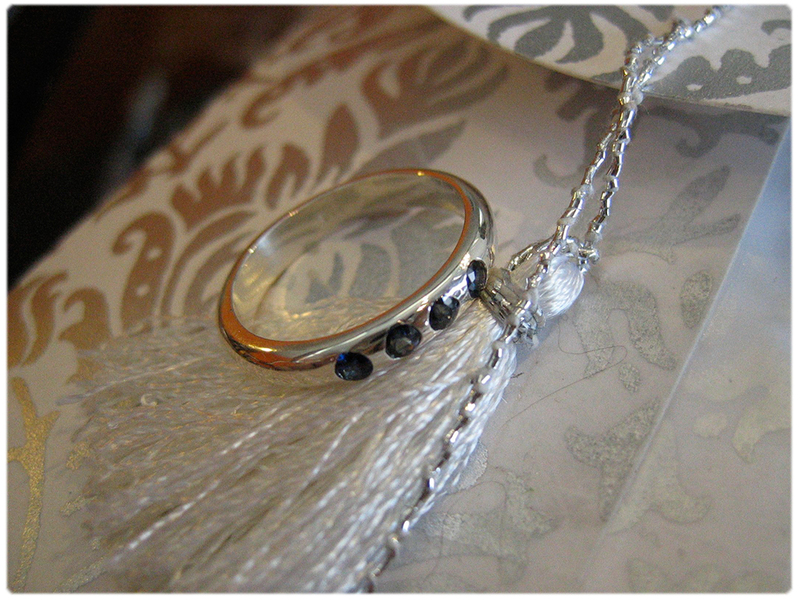 Bride’s Maid gifts. 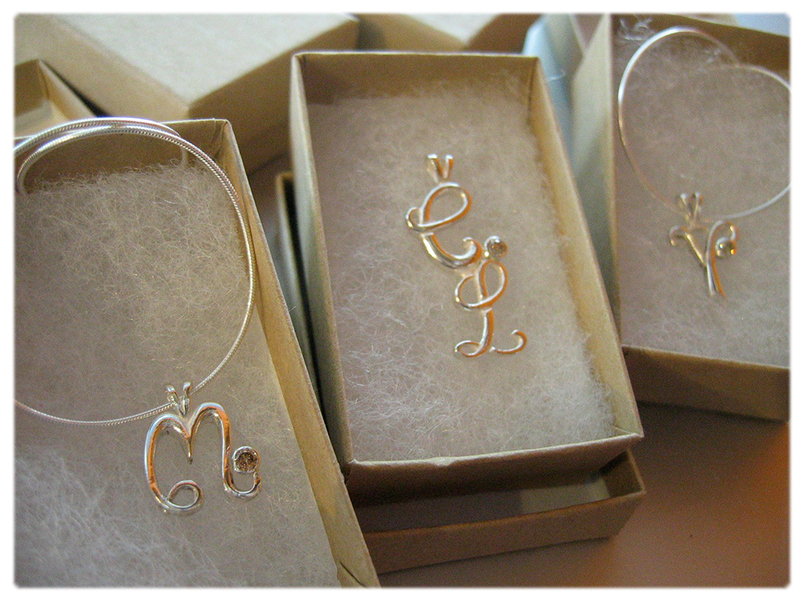 Sterling silver initials with chocolate diamonds. 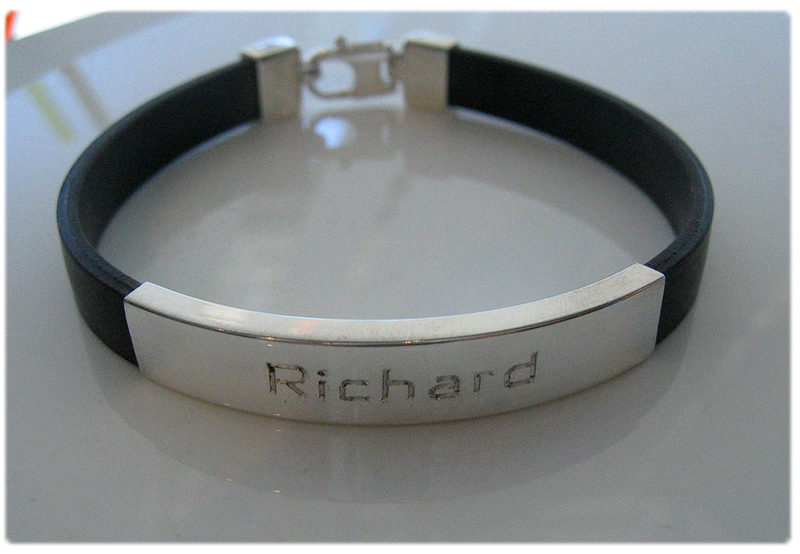 Father’s Day, anniversary bracelet, Leather, Sterling silver with hand-engraving. Hi, I was wondering if you offer anything in the way of a class for a bachelorette party. Maybe 2 hours, 6 people. I’m looking at Saturday August 16th. Hi Cara, I just sent you an email. The workshops can run two to three hours. Whatever works for you. Can you please email me regarding a class?